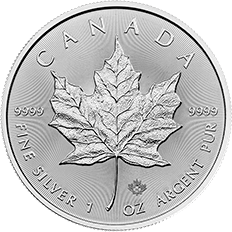 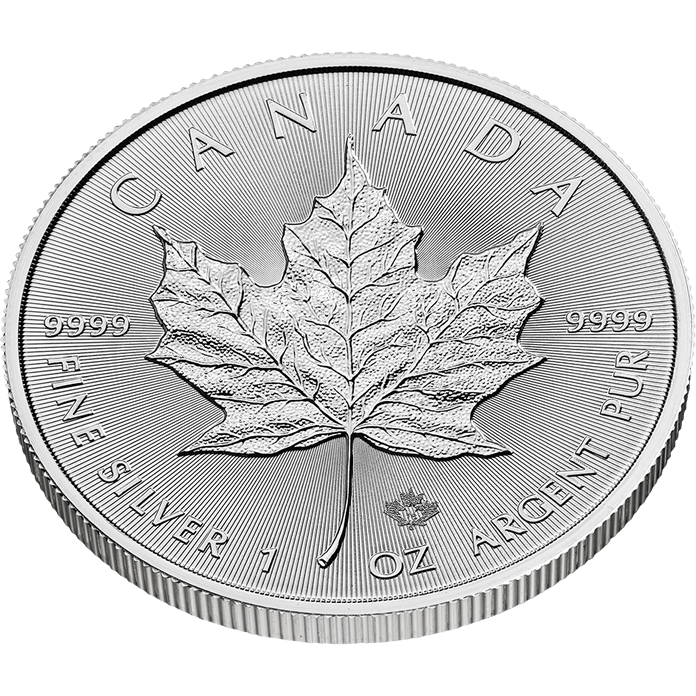 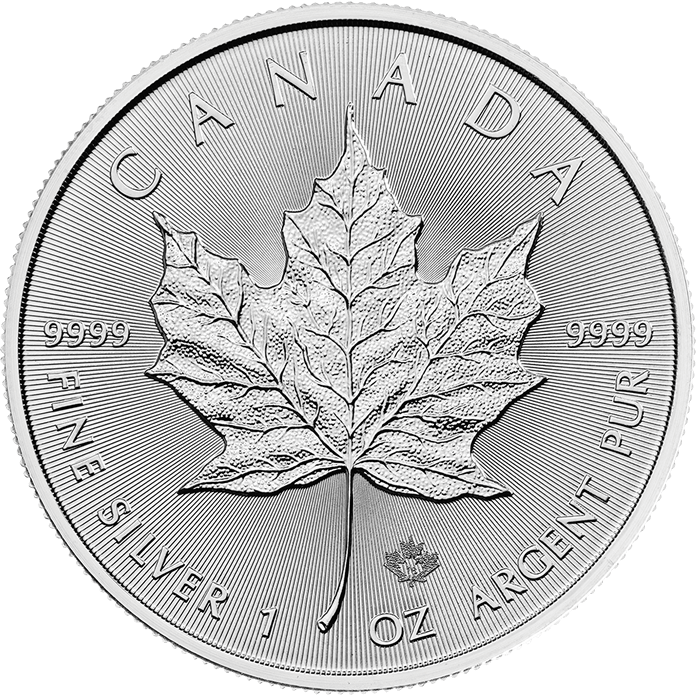 The Canadian Maple Leaf one-ounce silver bullion coin is minted by the Royal Canadian Mint and was first introduced in 1979. 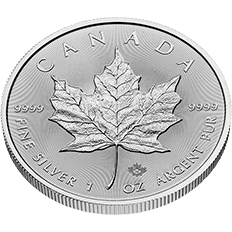 This coin features the iconic maple leaf, a symbol which is often used to represent Canada and is synonymous with Canadian identity. 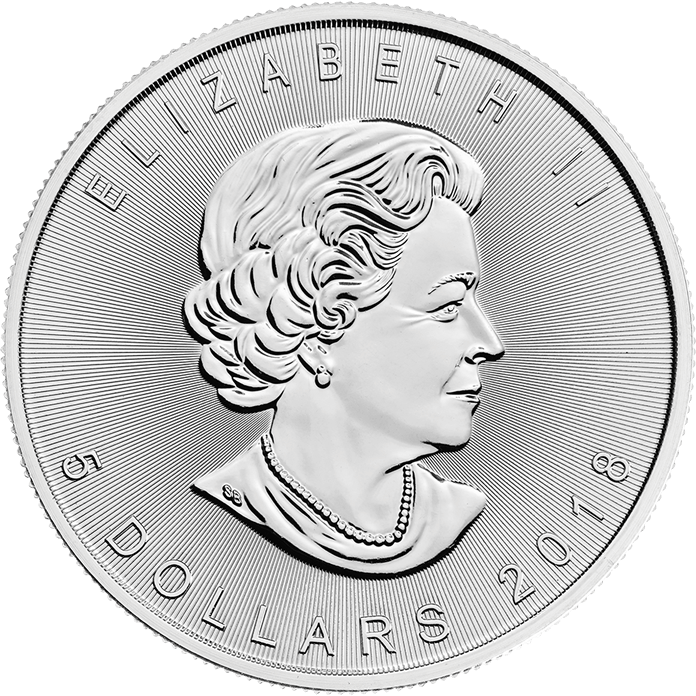 In addition to this, the Canadian Maple Leaf coin features a textured maple leaf which is laser engraved with the number “18” as a security feature and to show the coin's year of issue. 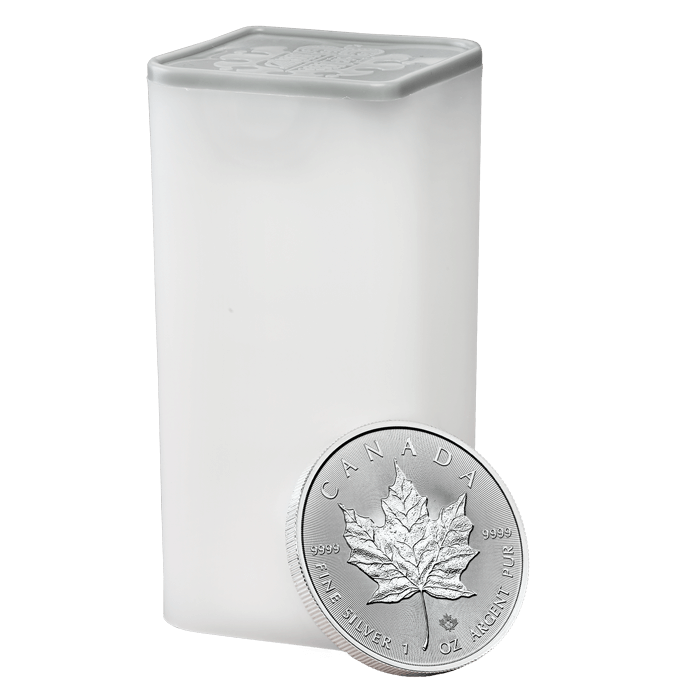 Please note coins sold may arrive in different packaging from images shown.